Rebekah Ponsford-Hall is a licensed psychologist. She grew up in Nampa and received her undergraduate degree from Northwest Nazarene University. She graduated from Fuller Theological Seminary’s School of Psychology in Pasadena, California in 2007. Dr. Ponsford-Hall has worked in a variety of settings including community mental health centers, crisis pregnancy centers, inpatient psychiatric hospitals, and a college counseling center. She was a certified Learning Disabilities specialist in the Southern California community college system. The majority of Rebekah’s time is spent doing comprehensive diagnostic testing for children with a variety of concerns including emotional, behavioral, cognitive, personality, and learning disorders. 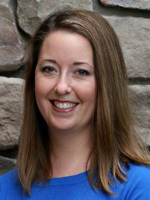 She also enjoys doing individual therapy with adolescents and adults as well as couples and family therapy. Periodically, Dr. Ponsford-Hall also does some teaching at the University level. At home, she is Mom to three children and in her spare time she teaches beginning dance at a local studio. Rebekah is one of the founding members of Northwest Behavioral Health and is pleased to be able to offer her services in the Treasure Valley.